Sassy actress, Yvonne Nelson has reacted to speculations that she is back into the arms of Nigerian singer Iyanya, insisting she is still single. News went viral Tuesday that the actress and the Kukere hit singer had patched up their differences that emerged late last year and were now in love again. Late last year, the actress was reported to have taken to social media site, Twitter, to announce her displeasure over a relationship gone bad with an unnamed man – believed to be Iyanya, born Iyanya Mbuk. Her comments led to heated and nasty exchanges between the Ghanaian actress and renowned Nollywood actress Tonto Dikeh, who was reported to have started a relationship with the singer. The singer performed at two key shows – Ghana Movie Awards and the Sarkodie Rapperholic Concert – in Ghana in December 2012 and was alleged to have met with Yvonne Nelson to trash out their differences and rekindle their love. 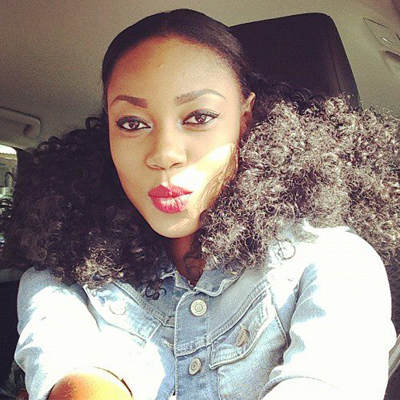 Yvonne Nelson once again took to Twitter Wednesday to refute speculations that she back together with Iyanya. According to her, although she is currently not in a relationship, she believes in love. “I’m not in any RELATIONSHIP now….Love is a beautiful thing….Humans make it UGLY……I still believe in LOVE…goodafternoon FAM,” she tweeted.